According to Chinese Horoscope, 2012 is the Year of the Dragon. That has inspired many luxury brands to create special offers, marked by Dragon for 2012. 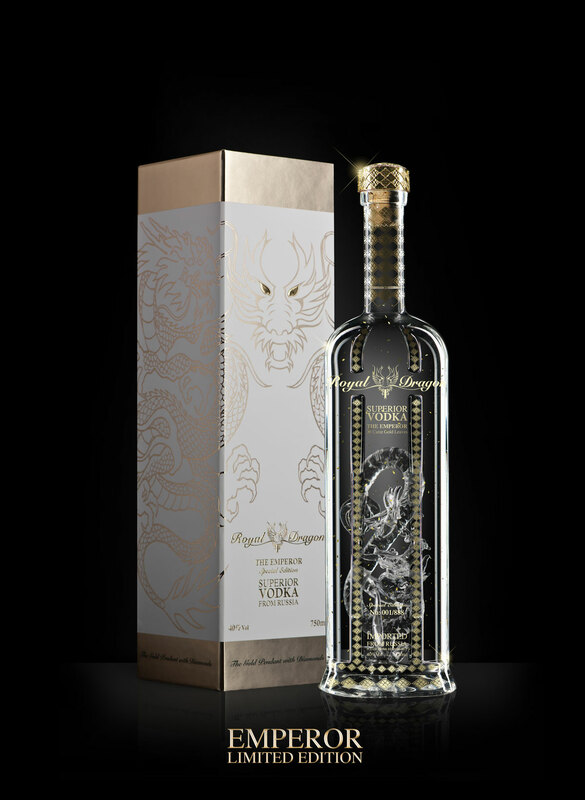 One such example is Royal Dragon Vodka the limited edition with its extraordinary collection of Superior Vodka: Elite, Imperial and The Emperor. 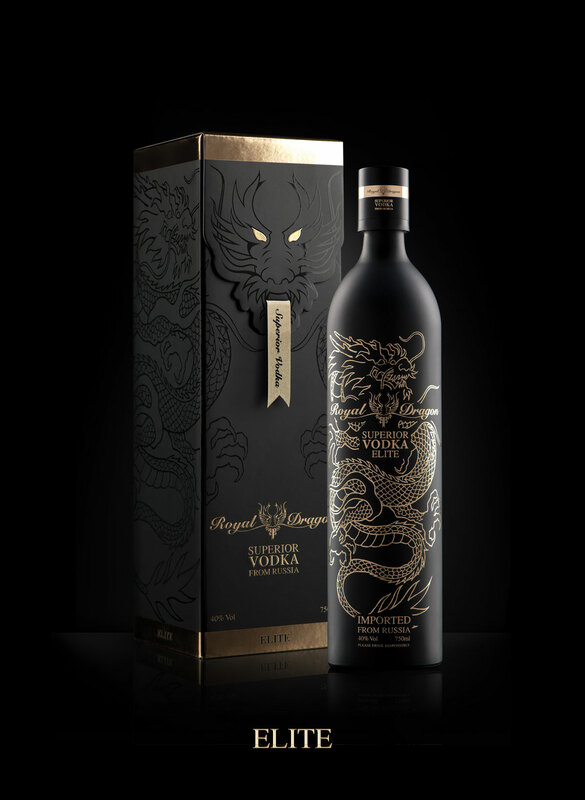 Royal Dragon Superior Vodka is exclusively distilled in Russia from the finest winter harvest rye. It is five times distilled, using a century old copper pot still, which gives to Vodka elemental softness and purity. It is also infused with 23-karat edible Swiss certified gold leaves and Antwerp diamonds. 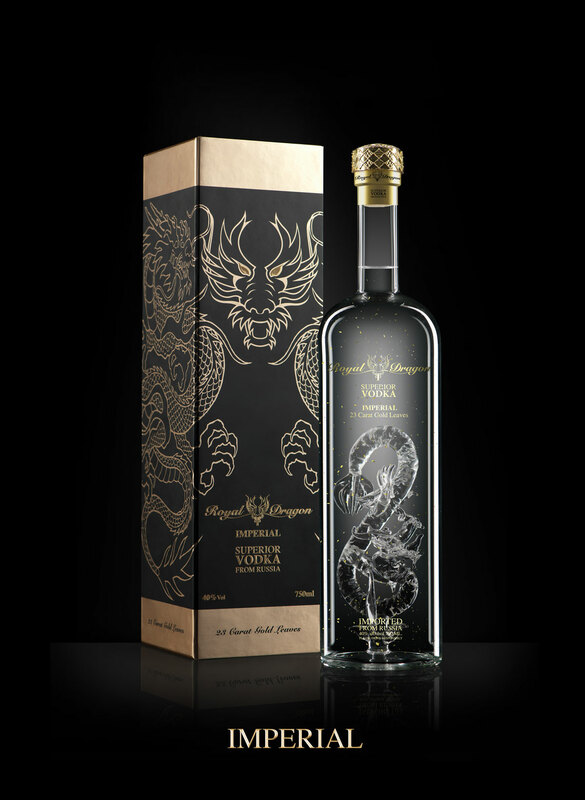 Royal Dragon Vodka is a unique combination of the best ingredients from around the world – Superior Russian Vodka, 23-carat gold leaves from Switzerland, the Asian Dragon, Diamonds from Antwerp, Italian packaging and Dutch Design.